©2017 Blue Ridge Life : Photos By BRL Photographer / Writer Marcie Gates : Craig and Nikki Nargi (founders and owners of Stable Craft Brewing in Augusta County – center) turn over the ceremonial shovel of dirt during a groundbreaking ceremony where a $500,000 expansion was announced on Thursday – August 24, 2017. They were joined by numerous local, state and federal dignitaries for the event. We’ve been telling you about Craig & Nikki Nargi’s Stable Craft Brewing since the beginning. On Thursday the news got even better! They along with the Virginia Governor’s office announced a 1/2 million dollar expansion at the brewery. Once finished it will triple the production of the beer. 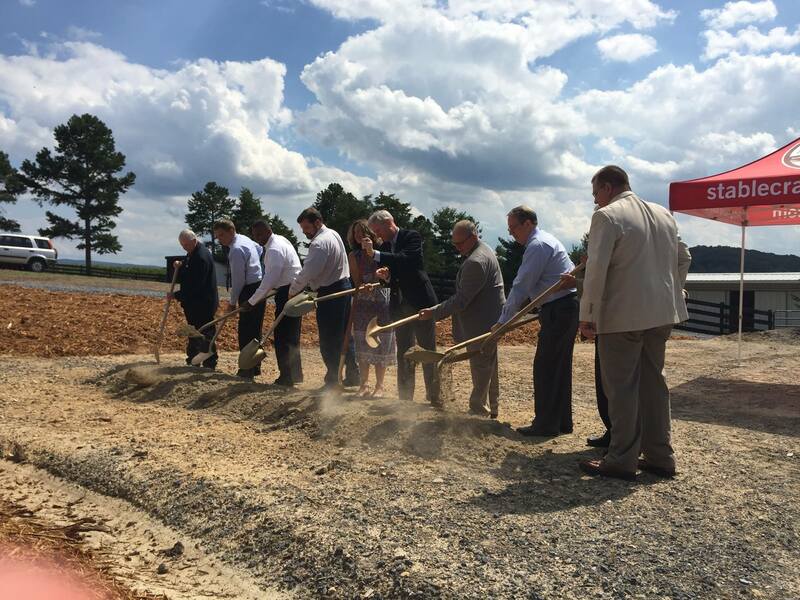 The company will also purchase 88 percent of its agricultural inputs from Virginia farmers in additon to creating 13 new jobs. 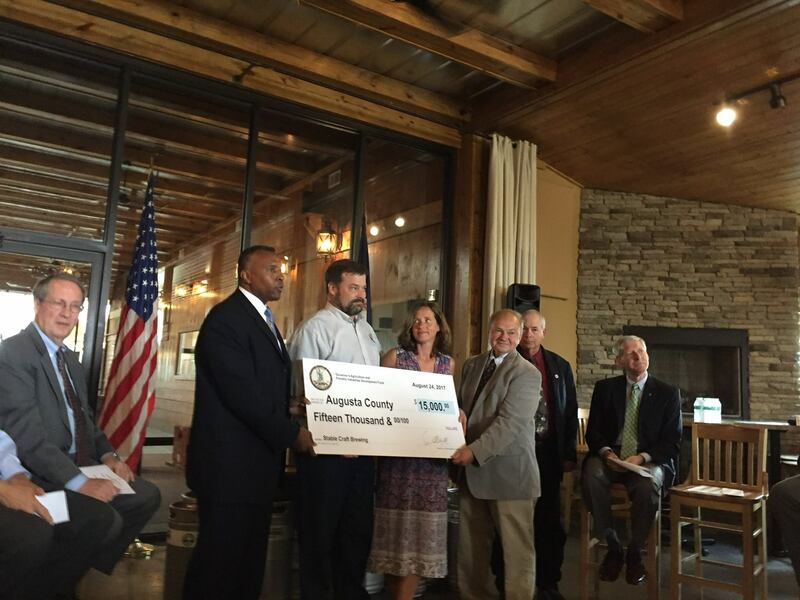 Virginia’s Secretary of Agriculture and Forestry Basil Gooden (left center) presents a $15,000 grant check to Stable Craft Owners Cragg & Nikki Nargi on Thursday – August 24, 2017 as part of the announcement of a $500,000 expansion. To see all of Marcie’s photos from yesterday’s exciting announcement at Stable Craft, click on our Facebook album above. Congrats to Craig & Nikki and all of the crew at Stable Craft! Blue Mountain Brewery Announces Major Expansion Here In Nelson County!